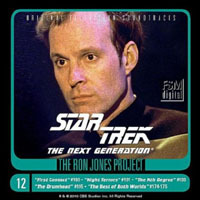 The Ron Jones Project is a testament to the unique and highly creative musical force that struggled for expression in those early years of Star Trek: The Next Generation. 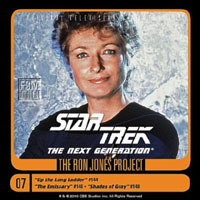 Now unleashed to bright, remastered glory, the full scores from all those episodes composed by Ron Jones have become available to us. This collection is the iconic fusion between classical and new-age music that flew almost under the radar while quietly taking hold upon our psyches, and it defined in auditory terms what Next Generation was doing narratively in fusing high philosophy with adventure. 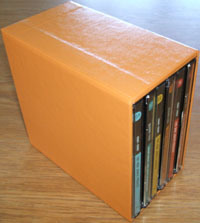 "Ron Jones Project" box set. Also features the scores from "The Battle" and "Datalore". 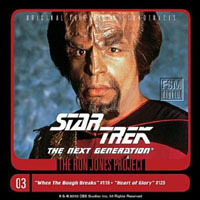 Also features the score from "When the Bough Breaks". 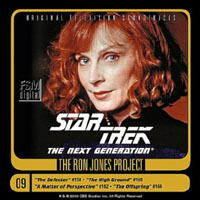 Also features the scores from "We'll Always Have Paris" and "The Neutral Zone". 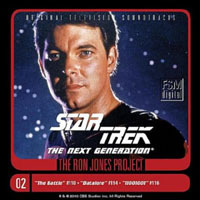 All Tracks by Ron Jones. Also features the scores from "Where Silence Has Lease" and "The Outrageous Okona". 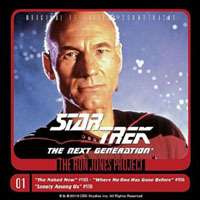 If you appreciate warm, romantic melodies, seriously consider downloading this whole disc, because there are SO MANY completely original ones here composed by Ron Jones. These three episodes may not have been the most popular dramas from this show, but their musical scores were really rich, and represent the composer during one of his most fertile creative periods. Seriously, this disc has more outstanding tracks than any other, and should definitely be considered first among all full album downloads. 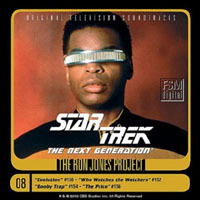 "Who Watches the Watchers" is my favourite Star Trek Ron Jones score of all, while "Booby Trap" and "The Price" are very strong. "Evolution" is a little more experimental, but is bookended by a very powerful space exploration theme that embodies the best qualities of Trek. 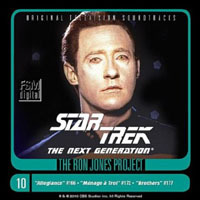 This album is the perfect starting place for a collection of Ron Jones mp3 downloads. One word of warning - both Amazon in the U.S. and in the United Kingdom get a bit mixed up with this one. 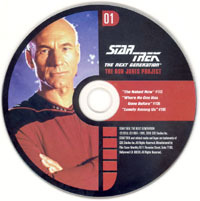 "The Offspring" is NOT represented on this album (disc 10). 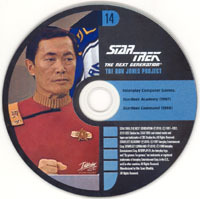 The listing should include the episode "Allegiance" along with "Ménage à Troi" and "Brothers". 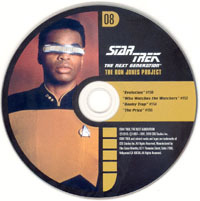 "The Offspring" can be found on the previous album (disc 9). Individual mp3 tracks appear to be correctly listed, however. 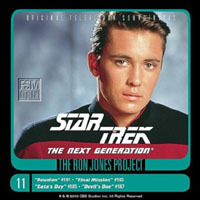 Five minutes of extra music from "The Best of Both Worlds" also debuted on this album, before being included on the expanded CD release for that story.